Yesterday we all remembered the attacks of September 11th and honored those who lost their lives. Hopefully we all remembered the days AFTER the attack, too — those days of pulling together, helping our neighbor, digging deep for comfort and common ground and showing what the American Spirit truly is. In a twisted way, I miss those days of shared goals, setting aside differences, and working together. It occurred to me that my 4 and 5 year olds will never experience the anguish of that day or maybe even that sense of community that followed. It saddens me. Are we still teaching the lessons to our kids that we all learned in the days and months that followed? This morning in my inbox, an email from Joe Daniels of the 9/11 Memorial and Museum in New York. 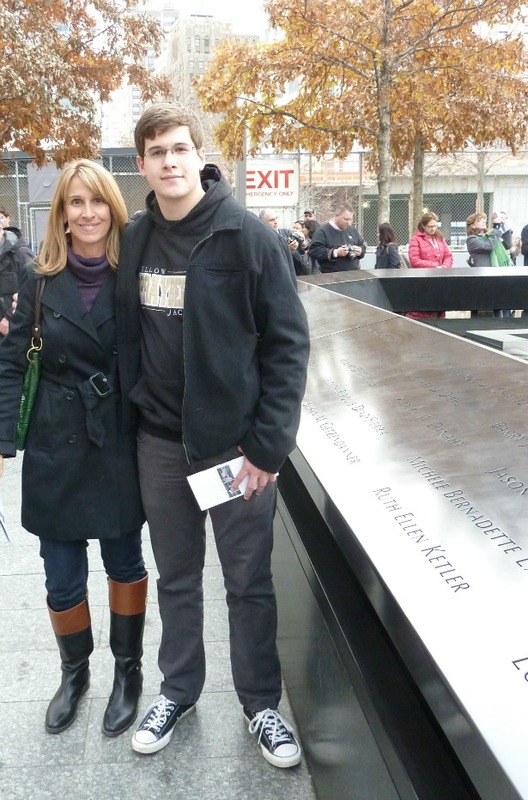 If you’ve been reading this blog for a while now, you know that I’ve visited the Memorial twice. And that it’s on my list of MUST SEE for anyone that visits New York. Yesterday, we commemorated the anniversary of the 9/11 attacks. Today, we remember the spirit of 9/12 and how our city, our nation, and the world came together to support one another in the aftermath of unimaginable tragedy. One of the most powerful symbols of resilience is a Callery pear tree that stands tall in the middle of the National September 11 Memorial. This tree once stood in the shadow of the Twin Towers at the World Trade Center. 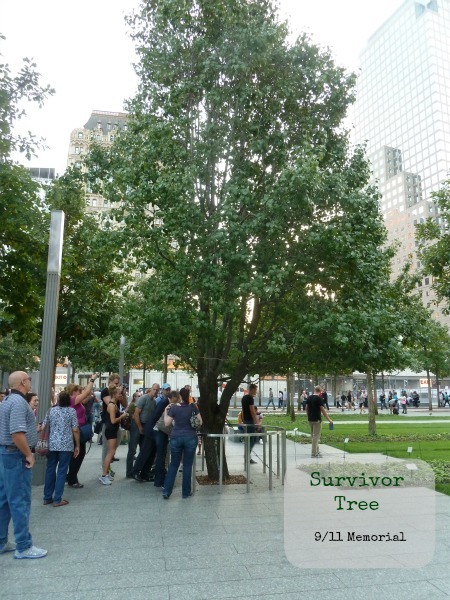 Weeks after the attacks, amid the wreckage at ground zero, workers discovered the tree with charred bark, snapped roots, and branches reduced to stumps. Under the care of the NYC Parks Department, the tree was nursed back to health, growing new branches and blossoming once again every spring. The tree now stands proudly among the grove of oak trees on the 9/11 Memorial, welcoming and inspiring visitors from around the world. In an effort to share this spirit of healing and hope, seedlings from the Survivor Tree are being given to three communities recently struck by tragedy. Oso, Washington was selected in memory of the 43 people killed in the March 22, 2014 mudslide in the small town, and in recognition of their resiliency. Fort Hood is receiving a small tree in honor of the 16 victims and survivors of the shooting on November 5, 2009, and April 2, 2014, as well as in acknowledgement of the continued sacrifice of the men and women who serve and their families. A seedling is also bound for Gulfport, Mississippi to remember those who died in the region devastated by Hurricane Katrina in August 2005. Each of these communities has committed to nurturing its tree to serve as a landmark, communicating strength and resiliency in the wake of tragedy and loss. Over the past two years, the seedlings have been carefully tended by students from John Bowne High School in Queens under the direction of Bartlett Tree Experts. The seedlings will be sent to their new homes this fall. You can also share the story of the Survivor Tree with your children through a new animated video and e-book, developed by BBDO New York and narrated by actress Whoopi Goldberg. Written as a children’s poem, “The Survivor Tree” conveys the simple, yet inspirational message of hope. This story of resilience and renewal is one we hope will be told for generations to come. Y’all. I can’t even express how this warmed my heart. I hope this warms your heart and gives you hope. We live in a broken world that seems to get darker and grimmer with every passing day. Let’s share this story — OUR story — of resilience, hope, and survival with our children. And our children’s children. i love the sentiment in your email- and i love that the tree is spreading to other areas. Beautiful. Have a wonderful time on the beach.